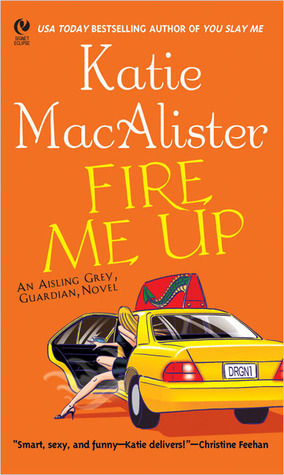 After finishing the first in Katie MacAlister's Aisling Grey, Guardian series, You Slay Me, my biggest complaint was the heroine/bumbling nitwit Aisling herself. 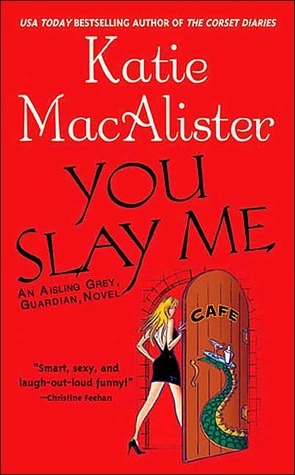 I thought You Slay Me was technically sound, with a fast-paced...though chaotic at times...plot that delved into a world that had some really nice glimmers of originality and a whole heck of a lot of laughs. I was counting on those aspects to pull me through my lip-curling distaste of Aisling during the second installment of the series in the hopes that I could stick it out until Aisling started to grow up and wake up a bit. Right up until the last chapter or two of Fire Me Up, book two in the series, I was intensely satisfied that they did just that. 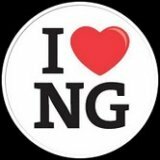 I was truly enjoying it, and was quite happy bopping along with Aisling and the lovable Jim, the mysterious Rene, the sizzling Drake, and a few other new and not-so-new faces. I thought the plot was a bit less frazzled than in the first book and the laughs were still there. Sure, I wasn't thrilled with Aisling, she was still way too immature, unrealistic, naive, and frustrating, but she was far more palatable a character than she was in the first book, and actually had shown some growth and brief flashes of maturity. Then...much like Aisling's life every time you turn around...it sorta went to Abaddon in a hand cart. I'm not going to explain exactly what she did or said that turned me off so much, but I will say this - I sincerely hope the character learns the difference between being betrayed by someone and allowing a lack of clarification to be misleading. And if, by some miracle, she does grasp that concept, perhaps she could also learn just how contemptible it is to be such a bloody hypocrite and turn around and betray her own very clearly sworn oath moments later. I'm sorry - I know there are people who absolutely love Aisling and think she's fantastic. And maybe I'll be one of them eventually. I'm not now. I think she's an utterly self-absorbed and whiny child whose behavior - when viewed against the backdrop of Drake's careful political maneuverings to keep his entire species from war - seems pitifully shallow and grotesque in its gauche lack of maturity. I have absolutely no clue what Drake sees in her, actually, and that's seriously damaging any of the romance aspects of the plot. In fact - I'm not seeing any romance. I'm seeing some hot scenes with two characters that connect on an elemental level...not an emotional one. Drake's not without his own flaws, either. He's stubbornly reticent on the subject of his feelings for...well...everything. Including his mate. That makes him seem unsympathetic, inflexible, and domineering. Not really seeing a love match there. And if I didn't dislike Aisling so much right now, that might bother me a lot more than it does. I can only hope she grows up and becomes worthy of her dragon mate, because honestly, if I were a dragon, I'd have eaten her by now.